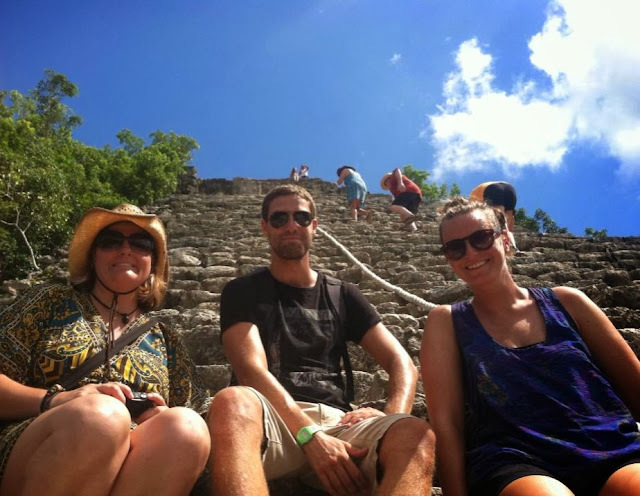 Today is my last day in Mexico before heading to Belize tomorrow. 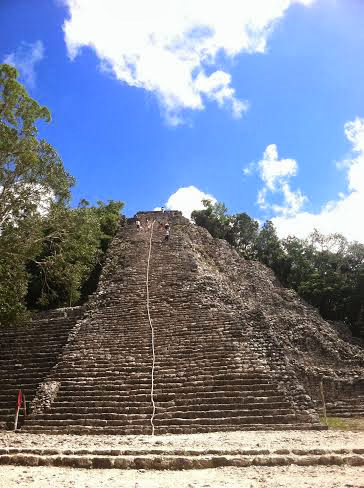 In the morning, Hollie, Tarlyn and I took a taxi out to Cobá (ruins) and the Grand Cenote. 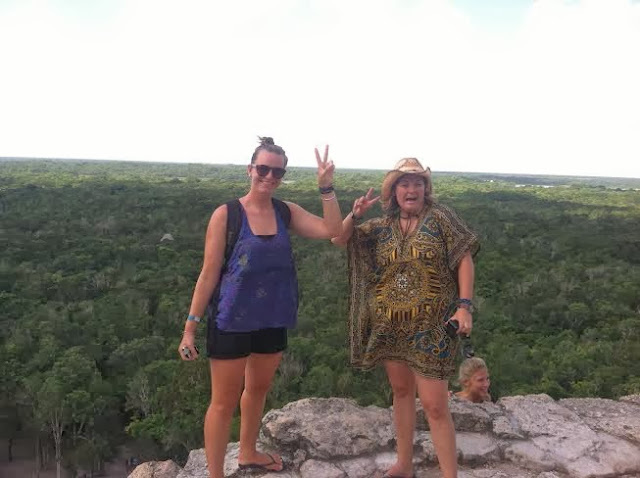 We biked around Cobá exploring the different ruins and climbed to the top of the highest one. The bike made it easy to get around and luckily the path was in the shade because you can't tell in these photos but it was a thousand degrees. After biking in the heat we needed a cold swim at the Grand Cenote (we tried to hitchhike there but failed). 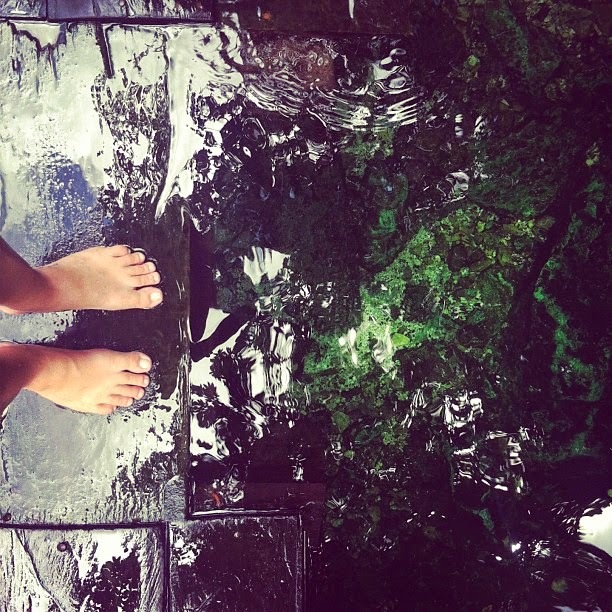 The water was so clear and there were turtles swimming around too. Hostel Sheck Update: Two fans are out in our dorm room so cross your fingers that they get them working by tonight or I'll be awake and sweating buckets.